Senior Lecturer in Political Communication and Journalism at the University of Portsmouth. My research interests lie in political communication, with a particular focus on social media, political participation and citizenship, and digital news. My work has been published in the Middle East Journal of Culture and Communication, Participations: Journal of Audience & Reception Studies, and Political Studies. 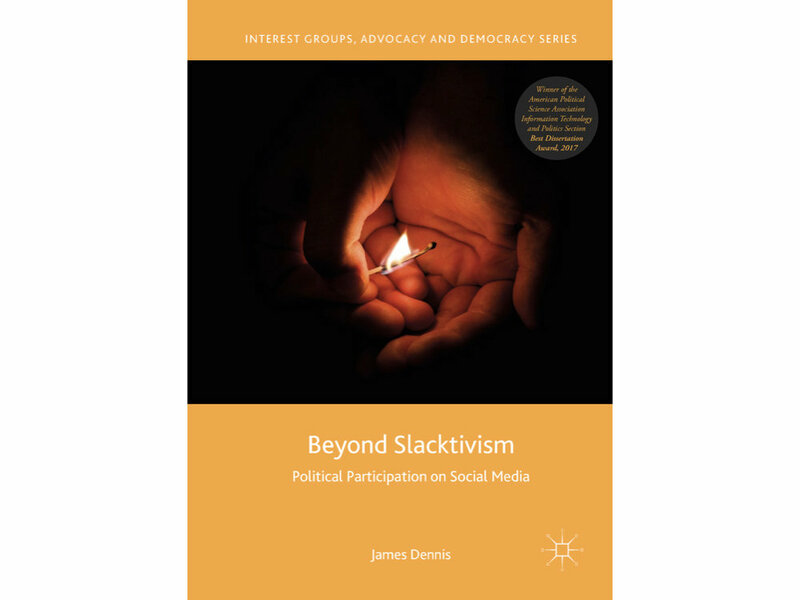 My first monograph, Beyond Slacktivism: Political Participation on Social Media, was published by Palgrave Macmillan in 2018. This builds on my PhD research, for which I was awarded the American Political Science Association Information Technology and Politics Section Best Dissertation Award. As of July 2018, I am a Co-Convenor of the Political Studies Association Media and Politics Group. I have experience of working with industry, carrying out social media research with the BBC World Service and the British Council. I have been a guest contributor for openDemocracy and the Political Studies Association blog, and I have been interviewed about digital politics on BBC Radio Scotland, BBC Radio Solent, and Inter TV. My first monograph, Beyond Slacktivism: Political Participation on Social Media, was recently published by Palgrave Macmillan (Interest Groups, Advocacy and Democracy Series). Following the Understanding and Examining the Digital Advocacy Pioneers workshop in September, Nina Hall (Johns Hopkins University) and I are editing a special issue of the Journal of Information Technology and Politics. This is due to be published in 2019. Examining how #GE2017 was reported to younger audiences by BuzzFeed and VICE with Susana Sampaio-Dias (University of Portsmouth) and Milan Kreuschitz-Markovič (University of Portsmouth). Working on a new project on Momentum, the political activist group founded in the wake of Jeremy Corbyn’s rise to leader of the Labour Party. I’ll be presenting work from this project at the annual conference of the Political Studies Association in April. Presenting the findings from Beyond Slacktivism at the University of Nottingham on April 11. Celebrating the launch of Beyond Slacktivism and the fantastic Political Communication in Britain: Campaigning, Media and Polling in the 2017 General Election at the PSA Media and Politics Group reception on Monday 15th April (Nottingham). Tickets are available here.